Does setting goals really work? Goals are good, right? Practically all organisations set goals for themselves and for their people. Goals for sales. Goals for market share. Goals for personal performance. And not just any goals, of course, but SMART ones. Specific, measurable, achievable, relevant and time-bounded. We all have them. And we all grumble about them. But the question is: should we really be setting goals at all? In his new book, ‘The Antidote’, journalist and writer Oliver Burkeman asks this very question. And his conclusion might surprise, irritate or even horrify you. Because setting goals, it turns out, might not be the key to success after all. The first problem with goals is what organisational behaviour expert Chris Kayes calls ‘goalodicy’, or the way in which an external target can become part of our own identities. To fail to achieve the goal means to admit failure as an individual. And this can drive us to take ever greater risks, sacrificing everything to achieve the goal. This unquestioning focus on the goal leads to an unhealthy single-mindedness. Even in the face of mounting evidence that the goal is an unwise one, rather than revise the goal, organisations simply invest more effort and resources in achieving it. So when things inevitably go wrong, they go very wrong. The second problem with goals is that they can stop us thinking for ourselves. Burkeman gives the example of New York taxi drivers. When it’s raining, he observes, it can be more difficult to hail a cab than when it is sunny. The obvious response is that there’s more demand, so of course it will be more difficult. All the taxis are already full. But when economist Colin Camerer and his colleagues looked into this phenomenon in more detail, they found that while demand for taxis did indeed go up when it was raining, the supply of taxis actually shrank. It turned out that New York taxi drivers set themselves daily targets for earnings, which they reached more quickly when it was raining, as there was more business. But rather than sticking around to earn a bit more from people desperate to get out of the rain, the drivers clocked off and went home once they had reached their target. Achieving the income goal for the day took precedence over rational behaviour and, indeed, basic common sense. The drivers had, explains Burkeman, invested in their goals beyond the point that doing so served their best interests. The third problem with goals is that, contrary to academic experiments in the laboratory, the real world rarely allows us to focus on just one objective. What we do in one aspect of our work or of our lives invariably exerts an effect on other aspects. We can never change just one thing. Striving to achieve a goal in one particular area will inevitably have unintended consequences – and not necessarily positive ones – in other areas. 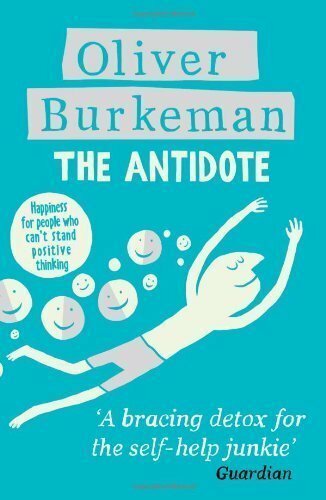 Burkeman gives the example of an executive who had set himself the aim of becoming a millionaire by the age of forty. He had achieved this goal, but he was now divorced from his wife, had health problems and was not in contact with his children. He had achieved his goal, but had suffered probably irreparable damage in other aspects of his life. So why do we do this to ourselves? We set ourselves goals, explains Burkeman, in response to uncertainty. We don’t know what the future will hold, so we use goals as way of investing in our preferred vision of that future. Not because they will necessarily help us to achieve that vision, but because they help to us rid ourselves of the uncertainty that we encounter in the present. This post was first published at www.sockmonkeyconsulting.com. This entry was posted in Books, Work and tagged Books, Goals, Oliver Burkeman, Work by Simon Perks. Bookmark the permalink.